Rena is the author of The Sisters of the Winter Wood and a graduate of the Johns Hopkins University Writing Seminars Program, where she majored in poetry and non-fiction writing. She also studied at Trinity College, Dublin and holds an MA in History from McGill University in Montreal, Canada. She currently lives in Israel where she works as a literary and foreign rights agent at the Deborah Harris Literary Agency in Jerusalem. Her poetry and short stories have been published, or are forthcoming from various print and on-line magazines. 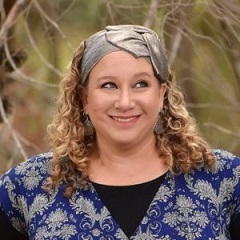 She’s also written for The Jerusalem Report and The Jerusalem Post, worked in PR, grant-writing, website development, web-content editing and in too many bookstores to count.